Say there, eager beaver, would you like to hear more about the latest in electronic emotion simulators? 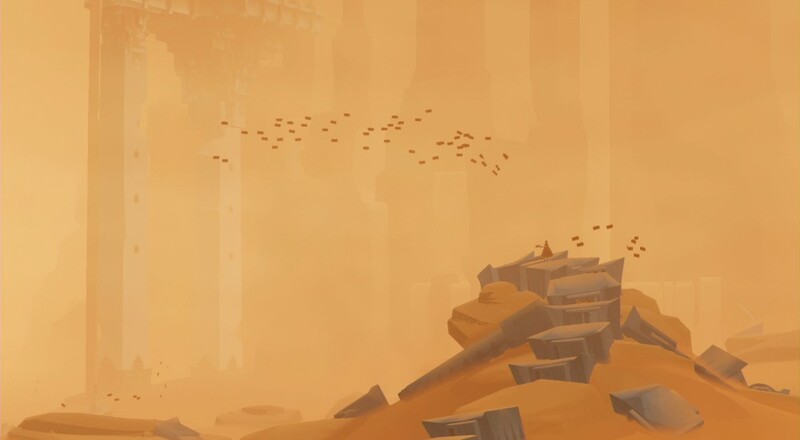 Well, look no further than Journey, and soon enough you'll realize that the guy or gal you're sweet on is likely just another feather floating past you on the winds of time; there one moment, and gone the next. Same with all your friends and family, too, chief! Boy howdy, I wish I was so lucky as to find someone to take my hand for the brief time we have on this earth, but I can't, see, cause I was trapped in this here underground bunker to report on video game news! Send help. 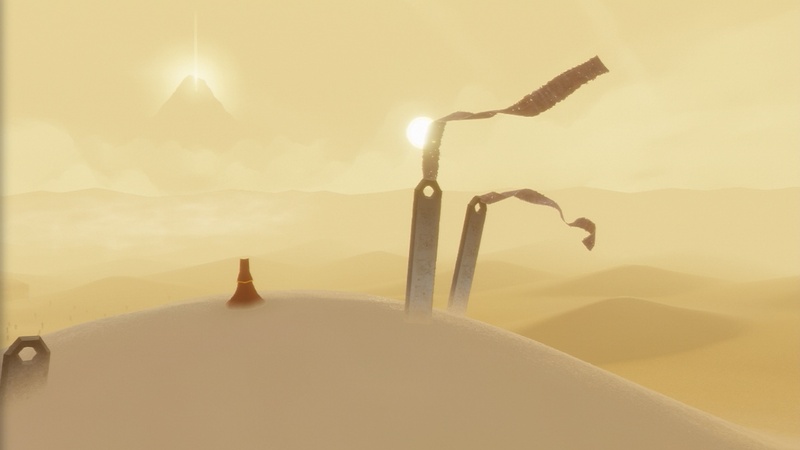 Thatgamecompany recently revealed that the physical version of the Journey re-release will also include copies of the studio's first two releases, Flower and flOw. All three games originally came out on the Playstation 3, so being able to experience them all in one place on current gen consoles is a great bonus. Give our review a look in case you're on the fence about diving into the game's two player online co-op (with a random partner).